T-Mobile’s LTE market launches are still in full swing as the company heads towards its goal of 200 million POPs covered before year’s end. A new group of sightings have come my way highlighting the work that is still being done and hopefully these markets are next up to go live. According to residents in Knoxville, Tennessee; Milwaukee, Wisconsin; Corpus Christi and Rio Grande Valley, Texas LTE is slowly coming online. The greatest volume of sightings has come out of Milwaukee so I’m hopeful the place known as “Brew City” is next up on T-Mobile’s LTE list. Don’t hesitate to drop word via email, below in the comments or catch me on social media to let me know if there’s a LTE sighting in your neck of the woods. Knoxville is on for sure. All the way from downtown to out west! I sent in notice about Knoxville yesterday. Appears to end just west of the Cedar Bluff area, I do have HSPA again at my house further west. It was edge the past few weeks. Any news on when they’ll start offering 4G on the interstates outside of the metro areas? Love T-mobile but it’s extra frustrating when u travel and u r constantly on edge whereas the other major carriers r covered. Hope they make those changes before my contract is up in 15 months or so. Maybe they’re wanting people to communicate within vehicles and look at the scenery? Just kidding. The massive amounts of EDGE outside of cities is really what’s keeping most people away at this point. You have to cut T-Mobile a little slack. They’ve been in Knoxville a lot less longer than the competition. Just about 800,000 more folks and y’ all can get LTE. I don’t know if size of population really matters. It might have more to do with the infrastructure in the city itself. I think Waco got it before Austin and I doubt that is the larger city. They could still be working on the back-haul in Lubbock so that the towers can actually perform at the LTE speeds. I agree. Austin has LTE but downtown I’m getting between no bars and 1 bar. Speed is anywhere from 1-2mb down and up forget it. Switch to hspa+ and I’m getting 4 bars and 3-5mb down and 1+ on the up load. I spoke to support thinking something was wrong and downtown Austin isn’t “live” with LTE. Just because they list it as having LTE doesn’t mean the entire city is going to be covered or that the performance is going to be rock solid yet. In the areas I do have LTE I have seen it go up into the 20s for download speeds and 8 upload. Other times I get better performance using the hspa+ network. It would be nice if the software switched to whatever network gives the better signal. Doesn’t LTE drain more battery than hspa+? I’m in CC and agree….it does kind of depend on what speedtest I use though. I’m seeing some odd results in CC, coverage claims 7-10mg down and 7-8mg up each time I run their test. Speedtest results vary depending on which server you choose. I’m getting between 121k – 16mg down and 18k – 13mg up. It’s better than it’s been for the past few months, but not consistent. I’ll try from different locations later this evening. That’s already in the article..
Grand Rapids, MI lit up in the last week. A few of us have been seeing LTE in Redding, CA as of last week. well that’s exciting because in northern cali, from woodland to redbluff I would see edge traveling in I-5 I would get edge :( NOW now by last week I noticed from reading to corning full bars of 3g but once you get to orland( my home town) I get edge but its exciting news because they are working in northern cali. I hope they give Orland 3g because I know a lot of people would ditch att and Verizon to T-Mobile if they had 3g in Orland. but still good job T-Mobile only a few more cities left in northern cali! Do you think you are being allowed to access MetroPCS’s LTE they have there? Or do you think T-mobile put in new equipment of their own? Can someone comment about the list saying “Los Angeles”? LA is huge. Does it also mean orange county, long beach, cerritos, etc? LTE LIVE IN THE AREAS BELOW. Areas not listed on T-MOBILE’S 180 markets list because the areas below are in the LOS ANGELES MARKET. I am sure there are more areas in the LA market that have LTE LIVE. The following list above just shows the areas in the LA market that I frequent. Thus I know those are areas in the LA market have LTE that is live. I was in downtown Long Beach last week and there was NO LTE at that time, but I was getting a good 4G HSPA+ signal in that area. If T-Mobile was Sprint, those would be independent “markets” on their official launch list. I am not kidding. I see Santa Ana, Anaheim, and Irvine listed. Those are in Orange County. I know Tustin also has it as well as at least some parts of Costa Mesa. Had LTE in the small area of Arroyo Grande, CA. 28mb down, 10mb up. Nice. No lte in Santa Maria yet. T-Mobile is definetely expanding coverage also, my house in Tallahassee used to be only edge, and edge all around it, many times it was just No Service. Now i get consistent 1 to 3 bars of ‘4G’ at around 5-6 down, and LTE around my house. This is amazing, as soon as T-Mobile greatly expands coverage and converts many 2G sites to at least HSPA then T-Mobile will exponentially gain customers!! So excited for the future of the company, from which just 2 years ago I was about to switch cause I didn’t get service virtually anywhere. TMO LTE sightings in areas of Dartmouth and New Bedford, Massachusetts. I managed to do a Sensorly mapping from one of TMO’s outlet http://imgur.com/9wjVbbB. Its definitely expanding here in southcoast Mass. I saw the crew upgrading the tower in Pocassett (eastern side of buzz bay) in August and it was lit up in early sept. Same with the east end of the CC canal. Cool. Do you live in Mass? Yes, Cataumet – I’ve had an ongoing dialog with tmo directly regarding the upper cape and coverage -as the map on the site is way more optimistic than real world. Believe it or not but they had the manager of NE planning work with me directly and sent a drive team to test my feedback, which they confirmed and subsequently the network has behaved much, much better for me. They said all of the sites (including the edge sites here) will be LTE enabled by Q1. Sweet! I’ve been doing lots of coverage measurements using Rootmetrics app around the New Bedford/Dartmouth area. The fact that TMO doesn’t count data used by Rootmetrics app against my plan has been great for collecting data performance info. One issue that has been intriguing me is that when I visit a local TMO store to speed test LTE on their demo phones, the Speedtest.net app chooses Wichita KS as the best server. Not sure why? Got sum love in tulare and visalia ca , both cities small area hope it spreads soon . uh the rio grande valley is not a city, it a valley composed of several cities, dont lump us all, we all dont look alike. rude! Milwaukee southside and downtown super fast as well. I Was happy with 4g I guess I didnt realize how fast lte is. Louisville usually gets LTE sometime around the time Milwaukee gets it. (AT&T, Verizon launches). So that’s what I’m hoping for!! Still more then Sprint LOL! I been a customer for 8+ years and now I can`t even use my phone at work. This terrible I at Ft. Benning GA, near Cusseta , GA and Columbus. I have a S-4 and cant even enjoy it. When is it coming. Thats rough man. Hang in their its coming. LTE is live in New Braunfels, Texas as of this past Sunday. I stay on the south side of town, Camden Rd Hope Mills area and I have had nothing but great coverage down this way. Everywhere I had HSPA is now LTE. The only spot with issues for me is the Spring Lake area I travel 3x a week but that’s not even covered in HSPA. I also use a Galaxy S4 with Cyanogenmod Stable. I pull 30m up and down in my bed and everywhere else I have coverage. Even solid in building LTE coverage? What about 4g or LTE in neighboring Lumberton, NC? Is there a good way to get an idea of what the footprint of these “markets” cover? I don’t have an LTE device, but if I’ve got coverage, I might upgrade. If you have an Android install the app Sensorly. The map will give you an idea where T-Mobile has LTE coverage. This map is updated by users tracking the signals that they pickup. It only tracks the user if the user allows it. I do have root metrics, the map isn’t really filled in well where I live. Are you reporting too? Because that will start to fill in the map, and T-mobile doesn’t count it against your data, if your still limited on high speed. No. “T-Mobile has agreed not to count any tests conducted with CoverageMap app against your data allotment.” When I heard that, I downloaded it right away, and it barely does anything to my battery. I just did here in Omaha. Im visiting for biz. When I got here there was only 4G. Come back to my hotel yesterday evening and there was 4GLTE here. T-Mobile is about to pass Sprints 4GLTE coverage! I believe T-Mo already passed Sprint. In my area alone has more LTE cities and towns that are not list. LTE is starting to pop up in Denton, Texas. Speeds are good, but signal strength is lacking. I’m sure it’ll be fixed once the rollout in Denton is complete. I’m in Frisco, and it’s the same. When you get/make a call it will switch to 4G and have full signal. LTE works better on low bars, I hear, so It’d be aiming for a further tower. I have LTE in Antioch IL and im nowhere near a big city. Well, Chicago is 65 miles away, Milwaukee is about 55 miles away. WTG T-Mobile!! I’ve noticed around Dallas, particularly in the northern parts (up to Frisco) the towers are hit-miss sometimes. I think they’re doing work on them but I’m not sure. I’ve noticed ransom days, not many, when there is no LTE in area. MY Note 2 is set to show the true signal (LTE, H+, 3G etc.) It’s come back up but it was something I noticed. I got a small glimpse of LTE in Madison, WI but it wasn’t on very long. If Milwaukee just got it, we shouldn’t be too far off in the distance. Very exciting! Lte in Lafayette, new Iberia and St. Martinville Louisiana. Speeds avg 15 to 29 mbps Down and 5 to 13 mbps upload..
What about Kenosha, WI?? Everytime I go there I’m stuck with EDGE. Brownsville has had LTE for about a week and half now as well! Nothing here in New Berlin yet (about 3 miles west of the actual city of Milwaukee). I have my HSPA+, but no LTE. I suppose it’s just running more or less in Milwaukee itself for now. It’s not a full on launch yet. I know, that’s why I said “yet” and “for now”… lol. No F..kin’ LTE in MT, Prospect, IL !!! Is chicagoland area !!! Fu..ck only ONE bar outside my house !!! Shame you T-Mo !!! Port Charlotte FL is getting ready to go online as we have seen a few sightings near HWY 75. Port Charlotte is hour north of Fort Myers FL and half hour south of Sarasota. We also have one location that is refarmed for 1900mhz frequencies. Getting close!!!! Hurray for lte in Milwaukee! Spotted it yesterday. It’s in the West Allis area and Milwaukee. From what I can tell, it’s pretty good coverage. Anywhere I had hspa I have lte. It’s still a weak signal and not much faster than hspa yet. Nice upload speeds though! Congratulations on your baby! I live a few blocks from that hospital. Columbus, Ft. Benning, GA has several towers with LTE should be on the list soon. I’ve picked up some the last 2 days. Louisville, Ky, the 17th largest metropolitan area is ignored meanwhile numerous tiny markets have enjoyed LTE for months??? Even Sprint brought LTE here ages ago. you forgot Cincinnati, Ohio too..
For Cincinnati and Milwaukee, as well as a few other large Midwest cities, T-Mobile has a tiny amount of spectrum. LTE deployment has already been delayed in those places, and don’t expect it to be anything special when it does arrive. I am wondering if they are doing some shuffling in Cincinnati. Areas that have always been HSPA 4G are now occasionally 2G. I had seen Cincinnati listed on a summer planned LTE deployment, but have not seen any progress and we are just about out of summer. According to the FCC website, T-Mobile has 20 MHz of PCS and 5 MHz of leased AWS in Cincinnati. So for them to deploy LTE they would have to move HSPA+ to PCS and leave AWS for LTE. BEAUFORT, SC needs 4G/LTE. Every weeks a lot of people coming to attend their sons/nephews/daughter/nieces graduation! 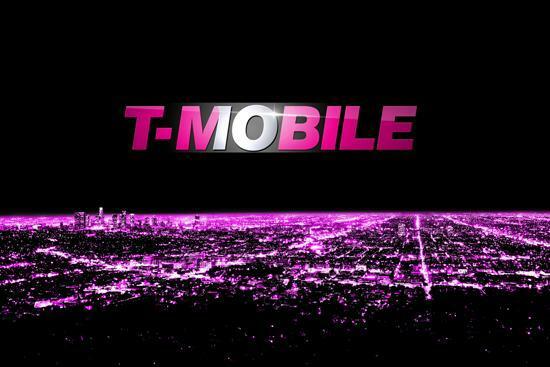 T-Mobile will definitely be great to our active duty personels and their families! T-Mobile will save our money from blood sucker Verizon and Sprint. T-Mobile please come to Beaufort, SC!!!!! LTE update: sighting in Holland, Michigan as well as Holland, Ohio (near Toledo). Also Cambridge, Minnesota. Pueblo, Colorado. Avila Beach, California. Santa Rosa, California. And the most RANDOM LTE sighting ( if you check sensorly ) is the border between North West Nevada and North east California. It’s in the middle of no where!! :o ha! oh and Auburn/Opelika, Alabama too! if you look at T-mobile’s list of LIVE LTE MARKETS which David posted in the article. Pueblo, Colorado is one of the 180 markets LTE markets listed so it is not anything surprising or groundbreaking that you spotted it in that area. But thanks for your LTE updates anyway. I live in DC and was so excited when ours first came on plus what made it better was I had the note 2 at the time so my phone transferred over quite nice. Keep it going TM! Dammit, no LTE in Antarctica!! Come on guys! LTE has been up since 09/16 here in Harlingen and I’ve posted the sites on http://ltemap.org/tmobile. Hurry up TMO! Waiting on Crab Apple Cove, ME and St. Olaf, MN. I’m getting some occasional pickup of LTE in Madison, WI. They’re definitely doing some work here, as I used to get “4G” but only 1-3 Mbps speeds. Now, I’m getting 6-7 Mbps, which is a definite improvement. can you map out LTE on sensorly or do you have an iPhone? I was in Madison a couple of months ago and only had HSPA+. Glad to see you are getting LTE though! I saw LTE in one area of the UW campus but the next day it was gone. What areas are you getting it? Over by Oscar Meyer, but today I picked up 16 MBps DL and 7 MBps UL from between there and Tenney Park. It was at about 7am today on my way to the farmers market. Spotty in areas of Ft Myers, Fla..
For NJ, I have sightings of 4GLTE as south as Pennsville, Pennsgrove. Spotty but it kicks in. Not sure if it is the towers reaching me from Phlia, Camden, or somewhere in DE. There is LTE in Lancaster, PA as of this summer and coincidentally or not, there is also 3G for the Iphone 4 (refarmed) in the Lancaster, PA area. 3G speed of around 3Mbs up. Now if only I could get 3G at my house, 10 miles east of Lancaster. use the sensorly app to mark LTE on the map! :) how are the speeds there? nice! what kind of phone are you using? Nice. I am in WIlmington, NC and I have been noticing some 1900Mhz refarming on some towers around town then the other half not yet, and it’s very low power. I can’t test for LTE as I don’t have an LTE phone. They’re definitely working on this area Fayetteville/Wilmington/Myrtle Beach. Ran some speed tests on an iphone 5s in knoxville while the phone was connected to LTE. The max speed I could get was 9 mbps. Pretty crappy in my opinion considering I ran tests with my almost 2 year old galaxy s2 on the hspa+42 network right after standing in the same spot and achieved the normal 12 – 17 mbps I normally get from that phone. T-mobile needs to do some tweaking to the LTE here in Knoxville if the HSPA+ network shoots off faster speeds. Also, I did some general browsing on the 5s as well and it was pretty slow. My Galaxy s2 was browsing faster. 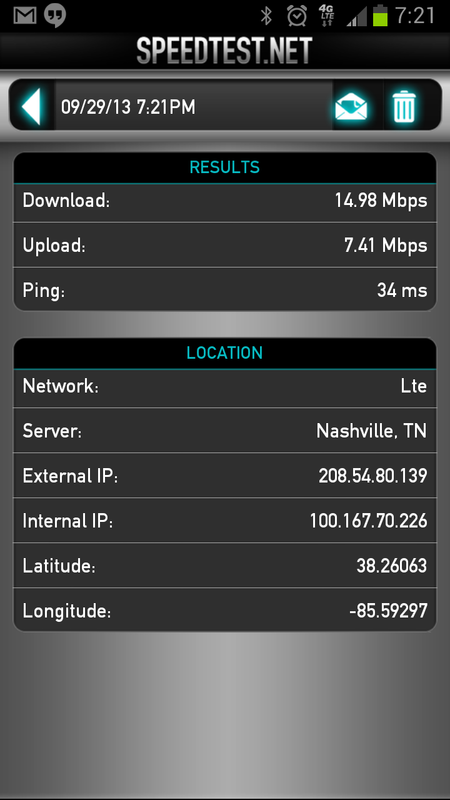 I got 16.01 Mbps down and 6.55 Mbps up via TMobile LTE in Knoxville using a LG Nexus 4 (which doesn’t even have all the LTE bands and officially doesn’t even support LTE)….so it is not as bad as you say it is!!!!! Been getting LTE almost everywhere I go here in Milwaukee, right now it seems to be getting the same DL speeds as HSPA+ but the ping and UL make it completely worth it. Well I was going to say Boise, Idaho had it live last night but they must of been testing it. Still, not on the list and was very Fast. I live in Cedar Springs, MI. I get GPRS here but the signal is strong. Does anyone know if T-Mobile will ever expand their coverage here or to the northern parts of Michigan? Thanks for your input. No tmobile is not looking to expand coverage in Michigan, they have had the same towers in west Michigan since 2004 essentially. Sprint has LTE in Cedar Springs Have you considered virgin mobile or boost running off LTE Sprint? I will have to give Sprint a try. I wonder if T-Mobile will ever expand here. Thanks for the reply. Lte has been turned on in Myrtle Beach SC! Thank you tmobile! what about Louisville, ky? we are the 17th largest metropolitan area and I think we deserve lte too. ABSOLUTELY. I’ve been coming to this site for years and there’s never been anything that compelled me to the point of commenting but this finally did it. I have been patiently waiting for T-Mobile to offer LTE here for months. As a former Verizon customer, I have already experienced it but left to have unlimited data with T-Mobile. I digress…. I spoke with a rep at a T-Mobile store in the beginning of August and they said it would be within the next two months so we should be lighting up soon! I’ve been getting LTE in Southeastern Wisconsin as of this week. Doesnt drop in buildings either. So far I have been on T-Mos LTE in Racine, WI – Milwaukee, WI, and all of Waukesha, WI. A big area in southeastern Wisconsin getting downloads around 25Mb down and 15Mb upload. Extremely happy and have been waiting for this!! im finally getting lte in my area. i live in hesperia, ca. i went from download speeds of 0.50mbps to 10-11mbps. lol im very happy now. the only down fall is, i went from full bars down to 1-2 bars when i am on lte. I was told by T-mobile today that is normal. They said at 2 bars you have the same type of service that you would with 5 bars EDGE. That’s what people on HowardForums are saying as well, which means that the phones need to update how they display signal bars/dots. I really hope T-Mobile puts out their LTE service in Louisville, KY soon. I feel it is kind of pointless to be waiting when they have LTE in very small towns, and Louisville is the 17th largest metropolitan area in the United States. Get it together T-Mobile. I have been waiting since April and I am getting tired of it. LTE is here in Louisville! Toledo, Ohio now has T-Mobile LTE. It’s AWESOME. Totally worth the wait guys. Just sighted LTE in Rockledge, FL. Unfortunately, it disappeared as I headed south. It’s a strange part of Brevard County to first notice it in, but at least it’s getting here! So, yesterday I was in verzion wireless with a friend and my phone was 4g LTE (I have tmobile). I really thought that was weird. Then today after Church my phone was 4g LTE again! So, here in Columbus, GA we are seeing a little bit of it! I’m really excited about this! My cousin has an iPhone 5 and it is showing LTE here in Louisville. I am currently getting LTE here in Louisville, KY on my iPhone 5. Louisville ky is now lit up with LTE!!! I have just seen two blips of lte here in Louisville, ky today. are people still getting LTE in Louisville or was it a test? my iPhone 5 has switched back to 4G..
I’m getting it in the 40229 zip code in Louisville and I am getting at work down in Shepherdsville, There is a couple mile streatch of I65 between the north Shepherdsville exit and the Brooks exit that I don’t see LTE. I’ve been seeing LTE since sometime Sunday night while I was at work in Shepherdsville and still see it this morning at home in Louisville. nevermind, back on LTE. my iPhone is switching between the two so this is a good sign!! Louisville LTE here also, got 27 down and 9 up last night in east end. At office (ZIP 40220) also had LTE today, but not as fast. What parts of Louisville are others seeing LTE in? Any news about t-mobile obtaining more spectrum? Got LTE in Saginaw, MI this weekend. Never had anything but Edge/GPRS before that. HSPA is also showing up between Saginaw and Flint. LTE has been turned on in Madison WI downtown area and campus. 13 down 6 up. and it’s finally on Sensorly! :) I was just in Madison last month! Beautiful city. I was getting five bars on Monroe st near Edgewood campus with 20 down 6 up. Had our first sighting of LTE in Ft Collins, CO today. 2 to 3 bars LTE in Tupelo, MS. Been happening for about a week off and on. wow are you really getting LTE in Mississippi?? that’s a state that hasn’t seen ANY LTE at all…I’m glad it’s happening now. T-Mobile purchased spectrum from U. S Cellular for Mississippi but I’m not sure if that has been approved yet. since the Nexus 4 doesn’t have all the LTE bands nor is it officially supposed to support LTE meaning I am running an old (never updated) radio to connect, I would say these are some really decent speeds!!! The Nexus 4 has band 4 LTE (1700mhz), which is actually the only LTE band T Mobile is utilizing at the moment. LTE in most of the city of Brownsville, TX at 15Mbps/4Mbps 51 ms and where you don’t get LTE..it drops to HSPA+ at 9.6/1 57ms ping. Of course, unlimited all at 70 bucks per month, no contract. Proud of you tmobile!! LTE Here in Fort Collins, CO. YAY!! LTE spotted in Meridian, Idaho. Forgot to grab a screenshot. Maybe they can boost connectivity in some of the surrounding communities? Yeah I live near the Locust and Fairview intersection and I get 20+mbps consistently inside my house. It seems like its available pretty much everwhere east of locust and north of overland road. Spoke with a TMO rep and they informed me that they will be refarming the towers through November. Pocatello also showing signs of LTE. If you are going to be the official wireless provider for MLB, please make sure that you have sufficient capacity in and around each MLB stadium to handle the crowds. I am a 10 year TMO customer, and have a Note II. I was at the AL Division Series final game last night in Tampa. I had great difficulty connecting with FB and the ESPN Scorecenter App. to get in-game updates. The network was extremely slow and very unreliable. Please fix this! It would also be great to give your customers unique access to content e.g. Verizon with NFL, Sprint with Nascar, etc. They have Busch Stadium working great; 47,000 people in the stadium last night, plus all the people downtown in the bars and other attractions, my new phone worked great. However, Miller Park in Milwaukee, no such luck. There, even the HSPA is crappy. I hope LTE alleviates the problem. Now getting off and on LTE in Malabar Fl. Seem to be getting better connections now inside the house.